Have your cows/bulls hooves professionally trimmed by a quality trained trimmer. Call us today for our hoof trimming services on (+61) 0419 305 363. 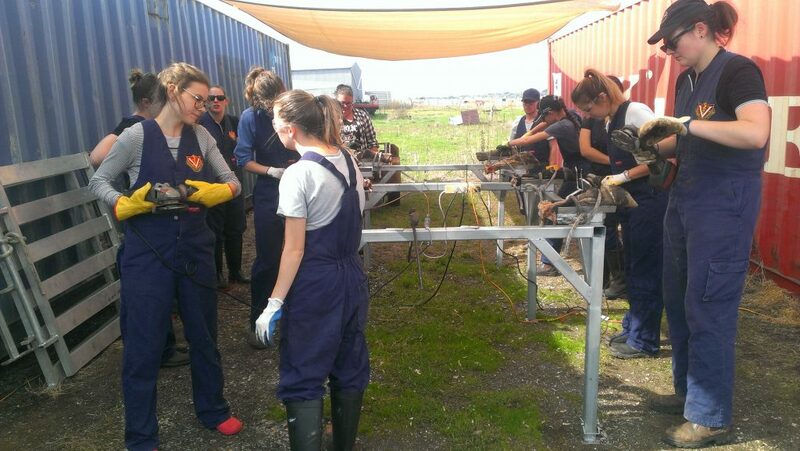 During the 18th and 19th of April, I spent two days training a collective unit of 25, penultimate year vet students from the University of Melbourne on how to trim cow feet. 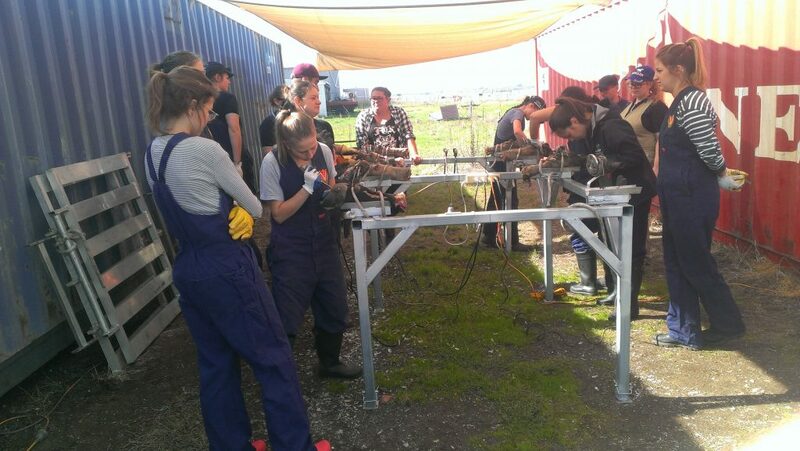 The pictures depict the students learning the ‘Dutch method of hoof trimming”, starting with learning hoof knife skills on cadaver feet and then onto learning the use of angle grinders for trimming hooves. Upon completion of the days they would get hands on experience, trimming on live cows. Cow with loose toe capsules, before and after the fix. This cows has been challenged probably by either acidosis, a bad mastitis or a uterus infection about 1 year ago which has made her sick enough to temporary stop hoof production. If you keep cattle, then take advantage of our comprehensive hoof trimming service to ensure the health and wellbeing of your cows. As professionals in Hoofcare, we can quickly, safely and efficiently trim the hooves of your cattle using our state of the art purpose built Wopa equipment. Our services offer great value, from $25.00/cow, so don’t hesitate to call today and discuss your requirements. Fixing lame cows from $25.00/cow.